Former Egyptian President Hosni Mubarak freed from prison after nearly six years behind bars. Former Egpytian President Hosni Mubarak was released from prison Friday, six years after the 2011 Egyptian Revolution that forced him out of power and led to his arrest and the arrest of his sons, Gamal and Alaa. An attorney representing the former Egyptian leader said Mubarak was released from a military hospital in Cairo, and has been allowed to return home. Mubarak was taken into custody in April 2011 in connection with the killings of hundreds of protesters by security forces during the Egyptian Revolution. 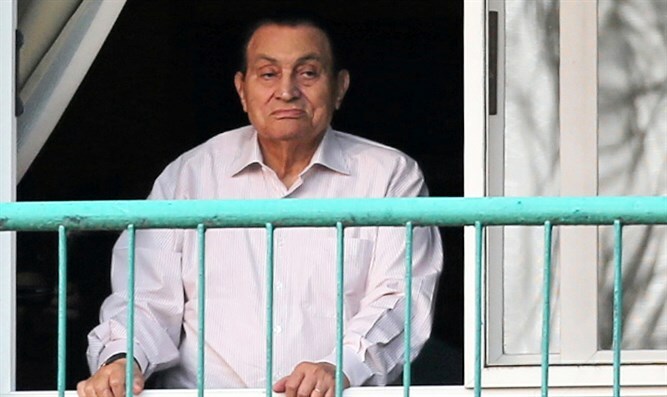 After six years in custody, Mubarak was acquitted earlier this month. Nearly 900 protesters were killed in the 18-day uprising against Mubarak's rule that ended when he stepped down in 2011. Now 88-years old, Mubarak spent much of the past six years in a Cairo military hospital under close supervision. Mubarak, who took power in 1981 after President Anwar Sadat was assassinated, ruled Egypt for 30 years.